WEEK 6: Let the good times roll ! Congrats, you're six weeks pregnant and 36 weeks away from cuddling up with your adorable tot. At this stage, you may feel a bit emotional, and experience some uncomfortable 6th week pregnancy symptoms mostly due to the fluctuations in hormone levels. Not to mention, you may also at times feel nervous and uncertain, but not to worry, you still have another 8 or so months to adjust your body accordingly. Speaking of hormones, your body will begin to secrete the HCG hormone after the implantation of the fertilized egg. This hormone is solely responsible regulating estrogen and progesterone levels, and also the reason why you may feel the need to urinate more frequently. Progesterone levels will rise all throughout your pregnancy, and will do so until the arrival of your baby. It is responsible for several key processes within your body including establishing the placenta, and also plays a crucial role towards fetal development in terms of preventing premature labor. 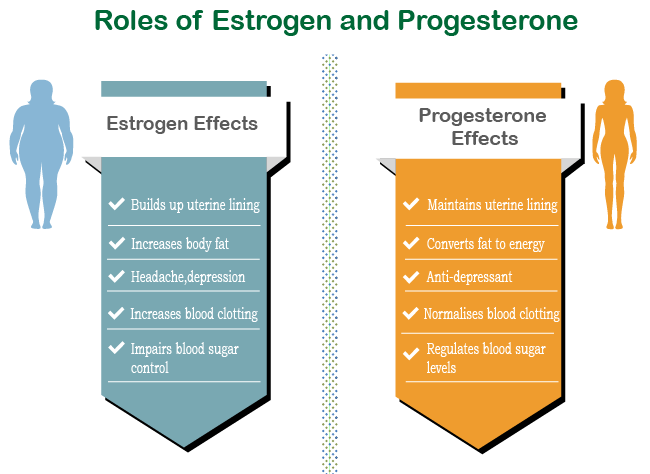 Estrogen is responsible for placental growth & function, fetal organ development and getting your breasts ready for lactation. Even though you’re climbing up the stairs of the pregnancy process, you may still not experience any symptoms. However, there are a few women who experience more pregnancy symptoms compared to others, but whether you do or don’t, it is perfectly normal! Listed below are few of the common symptoms you may experience when you’re 6 weeks pregnant. If you’ve had a chance to read our article on the 5th week pregnancy, you already know that morning sickness can occur at any time of day and not just in the morning. And if you’re having twins, expect it to be a bit more severe, but when all said and done, it is well worth the discomfort. This is why it is a good idea to start eating foods that work well with your system and keep them on hand, because an empty stomach can trigger nausea. Most women do feel tired as they progress in their pregnancy, and main reason for this is your changing hormones. Best advice for fatigue during pregnancy is to rest well as and when you feel the need to. During your week 6 of pregnancy, you may find yourself wanting to urinate often, and this is mostly due to the pregnancy hormone HCG sending the extra blood flow to the pelvic area of your body. Yup as you may have guessed, and maybe some of the people around you have already witnessed it—you can get a bit cranky and emotional at times. This is mostly due to the changing hormones, but can also be caused by fluctuations in blood sugar levels and fatigue. Best remedy for mood swings during pregnancy is to get some rest, and to try and keep tabs on your mood. Tummy troubles can be caused by the pregnancy hormone progesterone, are best healed by drinking lots of water during pregnancy, and opting for fiber rich foods to prevent constipation and consequently bloating. Both cramping and spotting are perfectly normal at any stage during your pregnancy. However, you should seek medical attention in the event it gets severe. Other reasons to see a doctor is when you experience abdominal pain or heavy bleeding similar to your period. Your belly at 6 weeks may not make you seem pregnant at all, but again you will get there soon! However, your pea-sized embryo is rapidly growing, and will soon occupy his or her fair share of belly real estate. But of course, your belly may be a whole lot bigger if you’re pregnant with twins! If you’ve already consulted a doctor, they may have asked you to schedule your first prenatal appointment during your 5th or 6th week, but most ask you hold off for the next couple weeks unless you’re a high-risk pregnancy. So you probably won’t have a 6 week ultrasoundwhen you’re 6 weeks pregnant. Brace yourself for the significant developments in your baby, so let’s get started! First things first—your little embryo is growing at blistering speeds. And in terms of weight, it adds 1 millimeter to itself per day. Convert that to humans, and you probably won’t think that’s a lot, but it’s the same as you adding one-third to your weight overnight. This means that both you and your little munchkin are working equally hard and around the clock. 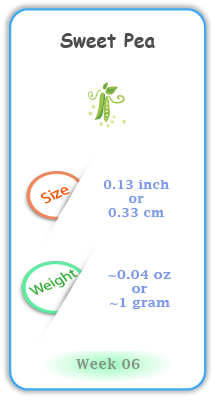 Your baby’s size in week 6 of pregnancy is roughly a quarter inch long similar in size to a lentil. By the end of week 6, the head of your little embryo will be bigger than its body and the body overall as big as a sweet pea. It will start to showcase limp buds that will soon develop into hands, arms and shoulders, and leg buds that will lengthen into thighs, legs and foot parts. The heart contractions that began in week 5 will become more dynamic and regular, and the heart at this stage has divided itself into two of four chambers. Speaking of heart beats, you’d be surprised to know that your baby’s heart is beating faster than yours, somewhere around 100-160 times per minute! 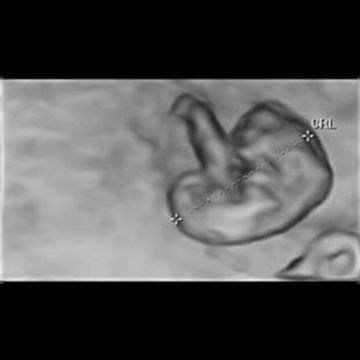 Although these are significant developments, the noteworthy development is its lifeline to its nutrients—the umbilical cord that’s now starting to protrude out of the embryo.